A café/convenience store/gas station/tobacco shop is one of the most unique dining experiences in the Maricopa area. And its manager wants to expand on its uniqueness. Best business advice received: “Learn as you go. You’re going to make mistakes. It’s a learning process. In my position, you’re learning something new every day. It keeps your on your toes. Vekol Market, open since 2012, serves up food cooked in front of customers. Located in the Ak-Chin Indian Community on Farrell Road, it draws a variety of customers with a variety of needs. Married with three children, Guerin is a member of the Ak-Chin Indian Community. She started in tribal gaming and worked retail at a Walgreens in Phoenix before joining the staff at Vekol Market as an assistant store manager. “Then I just stepped up,” she said. 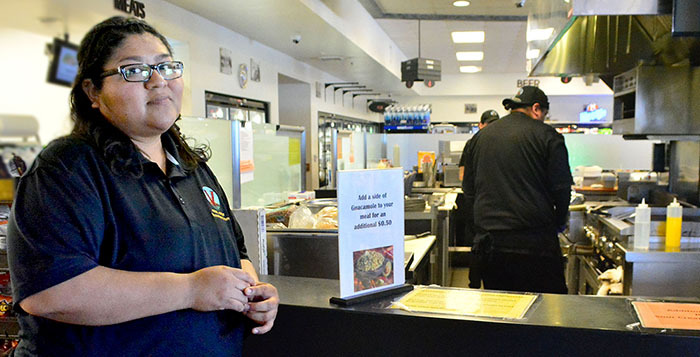 She gives a lot of credit to deli supervisor Brandy Rivera, who is in charge of the burgers, burritos and pizza coming out of the kitchen as well as the bakery and catering. “When it first opened, we were going to be a small café. As time went on, we had people requesting things,” she said. Guerin said Rivera has been “amazing” about making items fresh. Guerin estimates 75 percent of Vekol Market’s customers come from Maricopa, with other visitors being snowbirds or smokers coming from Casa Grande and even Tempe for tobacco products. “We’ve been open 5 years and we’re still getting people who just heard about us,” she said. 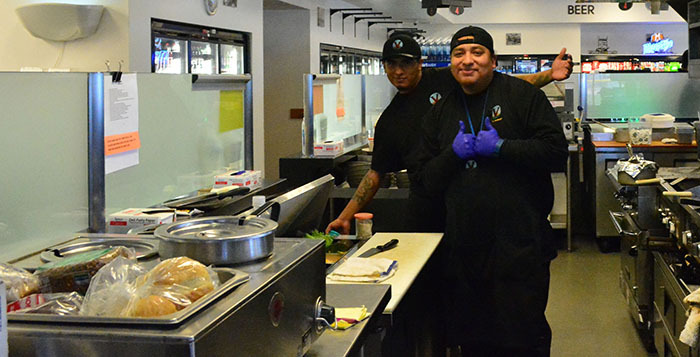 The store manager lauded her crew of deli clerks for their hard work whipping up meals from scratch. She has changed little on the surface at Vekol Market since becoming manager, but there is a special focus behind the scenes.